-FOXBASE ALPHA (Heavenly Records, 1991) WOOOW!!! -SO TOUGH (Heavenly Records, 1993) WOOOW!!! -TIGER BAY (Heavenly Records, 1994) WOOOW!!! -WORDS AND MUSIC BY SAINT ETIENNE (Heavenly Records, 2012) WOOOW!!! 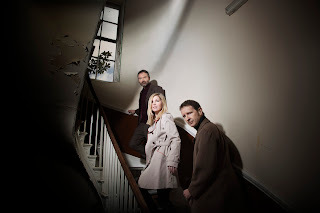 -LONDON CONVERSATIONS - THE BEST OF SAINT ETIENNE (Heavenly Records, 2009) WOOOW!! !